Creating a niche of Renting Of Dozers and Graders such as Renting of Dozer, Renting of Cat LGP SII Dozer and Renting of Motor Grader at its best, with utmost quality. We are engaged in providing superior Renting of Dozer in advanced model. These heavy vehicles are widely supplied to several construction sites throughout the nation. We are highly admired for our superior ranges of products and service. All our products are highly functional, easy to use, best in performance, reliable and are available in various models at attractive rental price. Under the guidance of expert professionals we select the most advanced products for several industrial requirements. We also provide Renting of Dozer which is fast and steady in performance. Our strong and reliable products are highly admired and are provide for several commercial purposes. These advanced models are best in quality, features, operation and are available at nominal rental price. 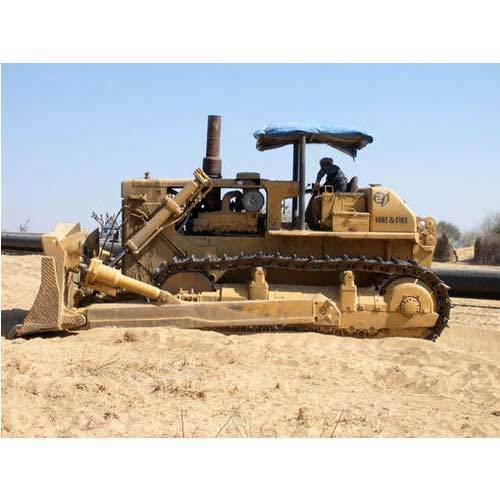 Our approaches help us to provide best Renting of Cat LGP SII Dozer which is sourced from top brands of the market. These reliable and sustainable products are provided for vast mining and construction works. These heavy and advanced vehicles are highly reliable, best in performance, high in demand and are well verified. We provide our rental products at the leading market rental price. With the best support of our vendors, we are able to provide high quality Renting of Motor Grader. These are highly strong and easy in functions. We provide highly reliable and sustainable products which are quality tested and are best in performance. We assure sustainability, quality and advanced features in all our products which are available at competitive rental price.